I had the pleasure of meeting Alisa Carroll earlier this year following the launch of our 2015 collection. 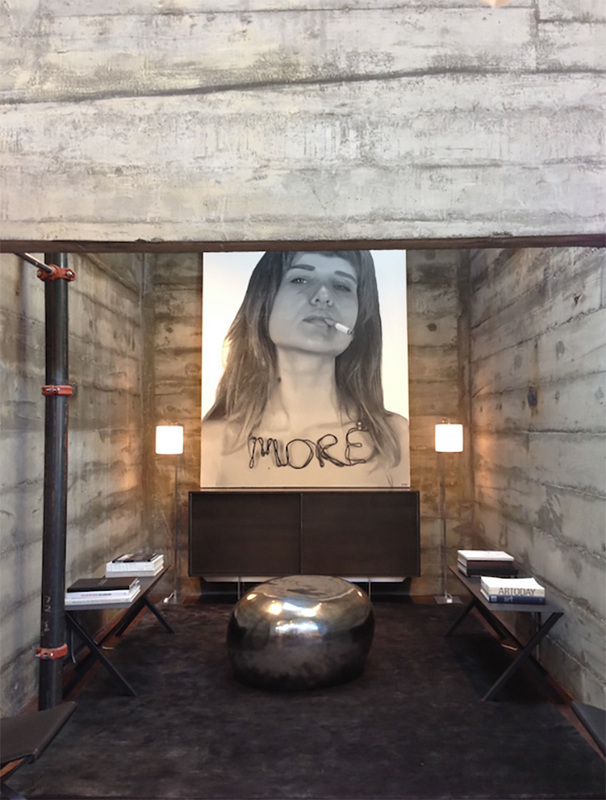 I invited her into our San Francisco showroom for a special tour of our newest furniture and accessory introductions. Alisa’s energy and enthusiasm were contagious from the moment she stepped into the showroom. Not before long, we were bonding over our mutual love of design, dogs and travel. 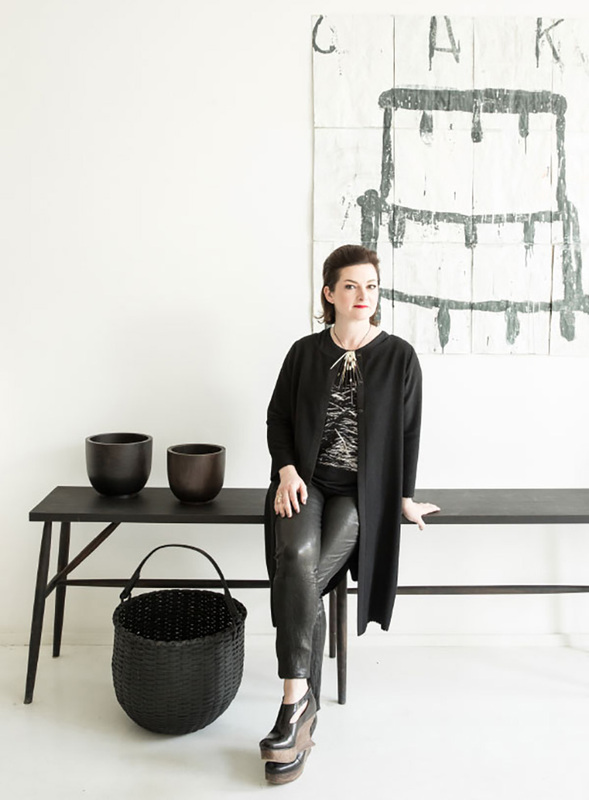 Alisa is the Editor in Chief of San Francisco Cottages & Gardens (SFC&G), a year-old magazine featuring the finest interiors, architecture and landscape of the Bay Area. Prior to that, she wrote for a number of design publications and in 2014, released her first book, Jay Jeffers: Collected Cool (Rizzoli), which she co-authored with the interior designer. Beyond the pages, Alisa is the founder of Sheltering Art, a panel series that explores the design of residences tailored to housing major art collections, and has moderated panels on design, architecture and art at conferences and fairs including Art Market and the San Francisco Fall Antiques Show. Alisa will return to our showroom tonight for the first conversation in our new series that celebrates the San Francisco design community. She has created a lounge with Room & Board products, demonstrating how to make a small space come alive with handcrafted, modern designs. Additionally, she will discuss her engagement with the Bay Area design, architecture and art community. I took the opportunity to reconnect with Alisa and learn more about the space she created for us, her inspiration and what makes her tick. I think it’s more like a compulsion. My favorite quote about writing is Dorothy Parker’s: “I hate writing, but I love having written.” It’s exhausting—writing a book is like having a baby over the course of two years. But, I keep doing it. Someone should stop me. As a devout minimalist, I focus on materiality and strong, sculptural shapes rather than color. For that reason, I love architects like Jim Jennings, Peter Zumthor, Joseph Dirand, Tadao Ando and John Pawson. I love industrial materials – concrete in particular – so when I saw the bunker room I knew it was the perfect space. It reminded me immediately of Tadao Ando and I decided I wanted to make a little homage to the minimalist architects and artists who inspire me. I began with the sculptural, steel Rex benches, which remind me a bit of Serra, and also have the monastic feel of Pawson. I needed an anchor for the back wall, something that could hold that space, so I chose the Smith cabinet because it’s such a bold, clean piece. I’m literally an editor, so my instinct is to pare things down to their essence while maintaining the poetry of the language, whether textual or visual. It’s what I love about Serra, Ando, Pawson, Zumthor. By pairing pure form with sensual materials they achieve the sublime. Anything as long as I can sleep late. I could also go into a bookstore every single day. I’m in the midst of writing a book so I’ve literally got 10 reference books in disarray all over my work table. SFMOMA curator Gary Garrells’ Oranges and Sardines, a series of interviews he did with contemporary abstract painters, is particularly great. My black fountain pen. It makes such a lovely, scratchy sound and makes me feel scribe-y. These days? My bed. Other than that, Corey Lee’s new restaurant Monsieur Benjamin is my current favorite. The steak frites – and everything else – are scrumptious, and the interiors strike just the right note. Live in San Francisco? Join us tonight for light bites, drinks and inspiration.